Headquartered in Melbourne, Australia, we're a completely online company with an ecosystem of sites and services to help people get creative. In September 2014, one of our sites, ThemeForest, was the 90th most visited website in the world and it remains among the most visited Australian-owned website on the planet! With more than 350 staff and contractors worldwide, we've helped a community of creative sellers earn more than $500 Million. JobAdvisor awarded us the title of Australia's Coolest Company for Women and Diversity (2015 and 2016). 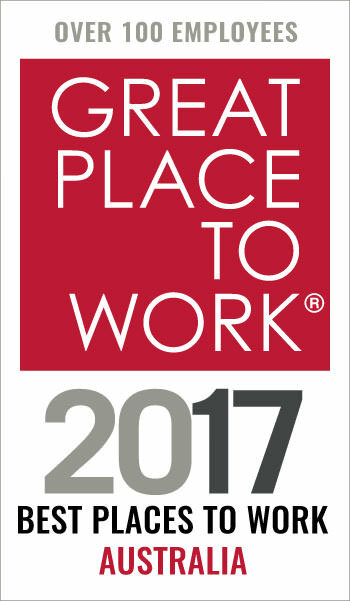 We were also named as one of the Best Places to Work in Australia in the 2015, 2016 and 2017 BRW Awards. On Envato Market thousands of people earn a living selling things like WordPress themes, photos, music tracks and illustrations. With Envato Elements, we oversee one of the world’s largest subscription services for digital creatives, providing hundreds of thousands of files for unlimited download for one flat fee. We offer website design and hosting with Envato Sites. On our education platform Tuts+, over 5 million people learn skills including code, illustration, photography, web design, and more, each month. We also run a freelance marketplace called Envato Studio. You might be surprised to know that not only do we run some of the biggest websites in the world; we’re also growing really fast! Join the Tuts+ team as our Design Courses Editor, responsible for the production of design video courses on Envato Elements. You’ll be a key part of a motivated remote team that commissions and creates video courses for our subscribers. You’ll use your industry expertise to research and plan awesome new course content and work closely with our community of instructors to deliver valuable educational content that’s both creative and practical. You’ll also have the opportunity to proactively reach out to new contributors and build a diverse team of instructors who can help you deliver incredible content that inspires our subscribers. An in-depth understanding of design: from typography and colour theory, to problem solving and the creative process. Expertise in a wide variety of design topics: from graphic, UI, and print design, to drawing and vector illustration. Strong design skills demonstrated in a personal portfolio. Experience managing a small team and working collaboratively. The ability to make content decisions based on data and research. Experience with search engine optimisation best practices. The ability to encourage and persuade contributors. A long history of self-driven productivity and superior time management. A passion for online learning and the potential life-changing effects of its outcomes. A willingness to become familiar with all Envato Tuts+ processes. A personable warmth, sense of humour and respect for individual team members. On values with Envato’s caring and passionate culture. A clear desire to be part of a remote working team. Experience creating written educational content. Experience in video and audio production. Active involvement in the design community. A fast paced and progressive environment where everyone has regular interaction with teammates and Envato community members from all over the world! We care deeply about diversity and inclusion at Envato, and welcome applicants of all types, and from all backgrounds. If you think you have the skills and experience needed for this role then we'd like to hear from you. Submit a cover letter, an up to date copy of your resume and answers to the below questions. Good luck! If referred, who can we thank? Envato may adopt special measures that are focused on improving gender balance in Leadership and Technical roles at the company. These special measures are aimed at promoting greater equality by supporting groups of people who face, or have faced, entrenched discrimination. For this reason, applicants for Leadership and Technical roles are invited to advise us of their gender (Female/Male/Trans/Gender Diverse/prefer not to respond). In the options, the term "gender diverse" includes those who identify as trans, those with a trans history and those who identify as gender diverse, bigender, agender, gender fluid, gender queer, non-binary and other. Responding to this question is optional, and further information about our recruitment practices is available at careers.envato.com.